When I moved from Santa Fe to Portland I gave up my custom-built recording studio. Only thing I miss about the place, being honest. I transported all my gear here and watched as it sat in a garage and then in one side of my live/work apartment. I always told myself I’d get it all wired up again in a new location. But the longer it sat there, the more I realized I never would. So I finally started on the difficult task of selling it. Starting work on a new album at another studio made that task easier, I must admit. But then as I was constantly told I’d have to break down my nicely wired rack into its component parts I realized that it was more important to me that this stuff be used – preferably together – than any money I could make by selling it. Then an idea hit me. And it was one of those ideas that the moment you have had it you know it’s right. So the entire set up will move soon to Lincoln High School here in Portland. A donation. There is a teacher there, David, who told me he has wanted to add recording techniques to his curriculum “for years.” And now he can. My thanks to my friend Kate for making the introduction. 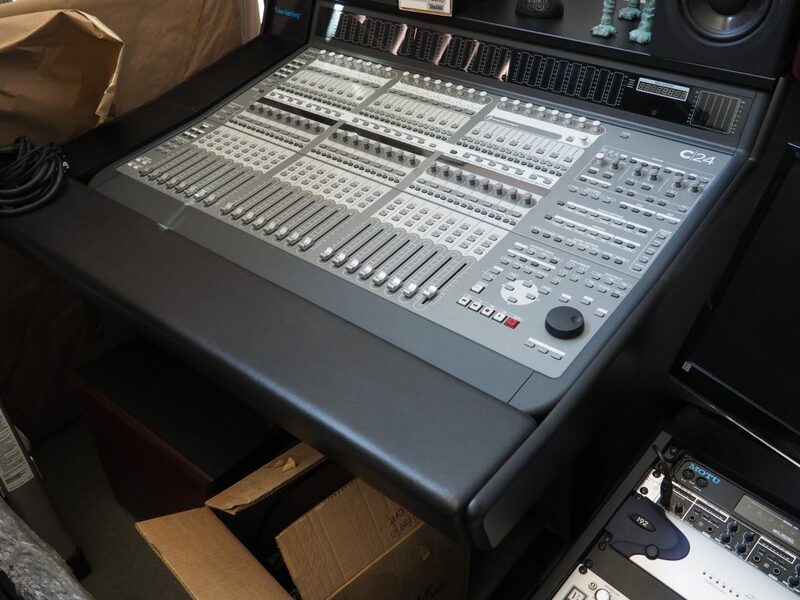 If my equipment can get just a couple of kids interested in music and recording that is better than cash – which I’d probably just blow on some really nice wine anyway!